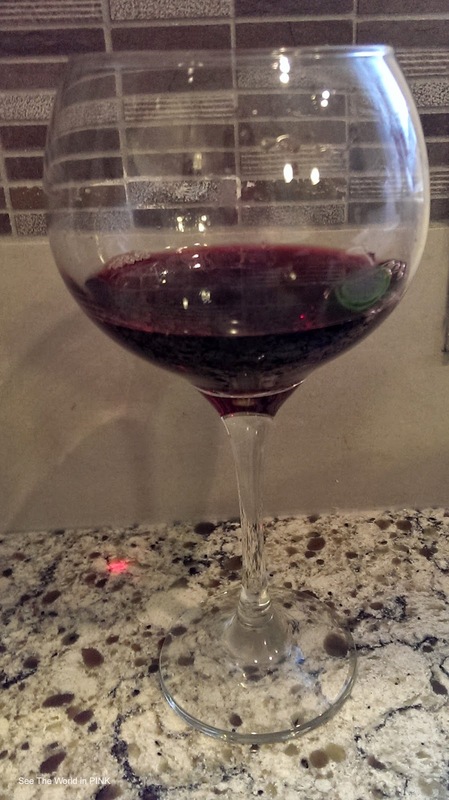 The theme for this week's Wine + Mask Wednesday is: Red Wine! Yes! A red wine mask - so awesome! "We’re an organic farm, vineyard, and winery. Our organically-grown wine portfolio includes Pinot Blanc, Sauvignon Blanc/Semillon, and Rosé, as well as proprietary red blends The Bluff, MDC and Amicitia. Relax on our licensed patio and enjoy a glass wine with a charcuterie and cheese board featuring small bites from the farm." This wine is quite a bit darker red than I normally drink, but I actually really enjoyed it! 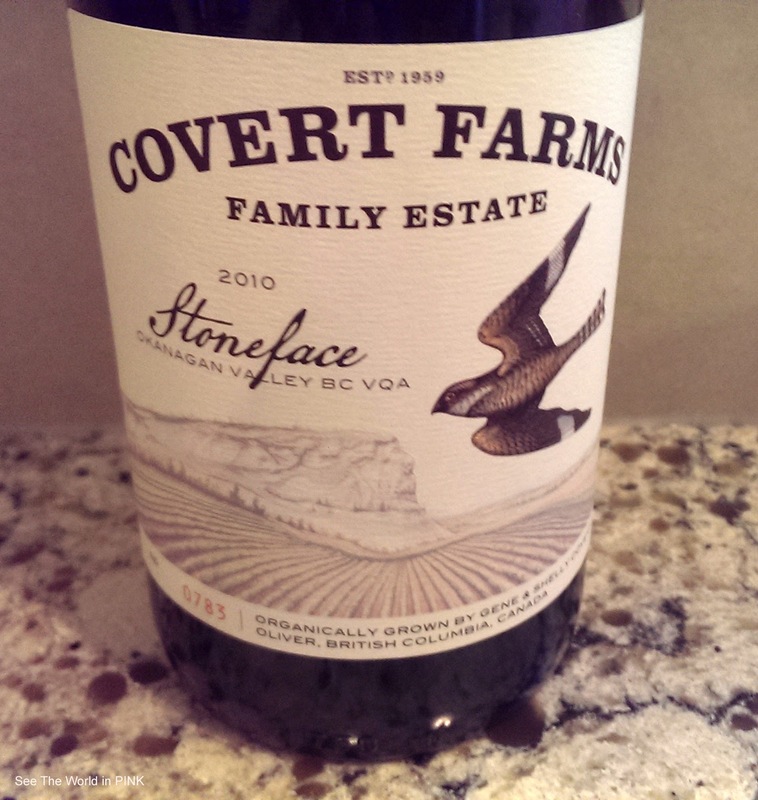 This wine is fruity and has a deep peppery note. 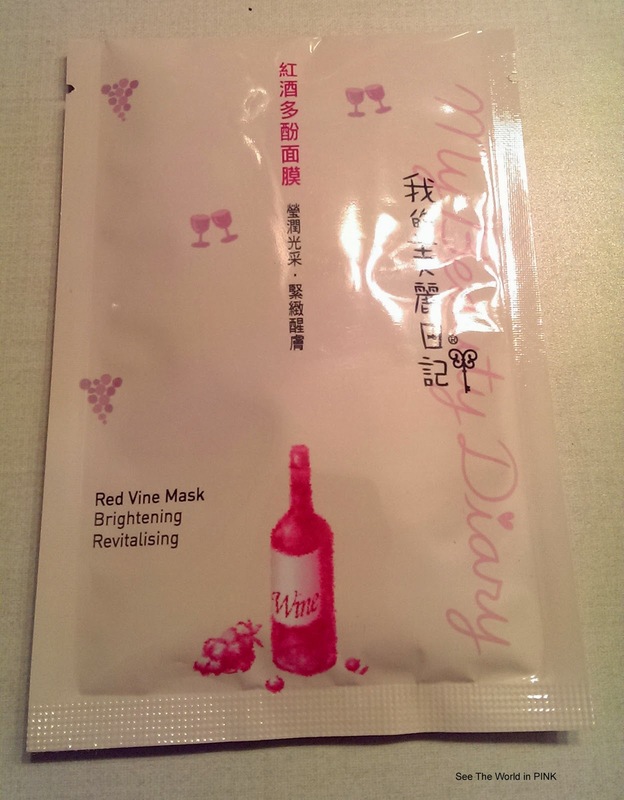 "My Beauty Diary Red Vine Mask is a brightening and revitalizing product. Red wine polyphenols is also known as red grape polyphenols. It has reputation for its anti-oxidizing function. With camellia seeds, yeast compound extracts, it improves dull and tired skin, skin becomes radiant and elastic, healthy as blushed. No makeup is needed. Collagen and polysaccharides extracted from water-soluble protein, red algae and aloe boosts skin’s firmness and elasticity. With natural arnica, watercress that contains rich tannins, skin restores its vitality and healthiness. Patented moisturizing ingredients CosphingoTM maintains skin’s natural state of healthiness. It hydrates and locks moisture, restores skin’s softness and smoothness. Does not contains Paraben preservatives, alcohol or fluorescent agents." 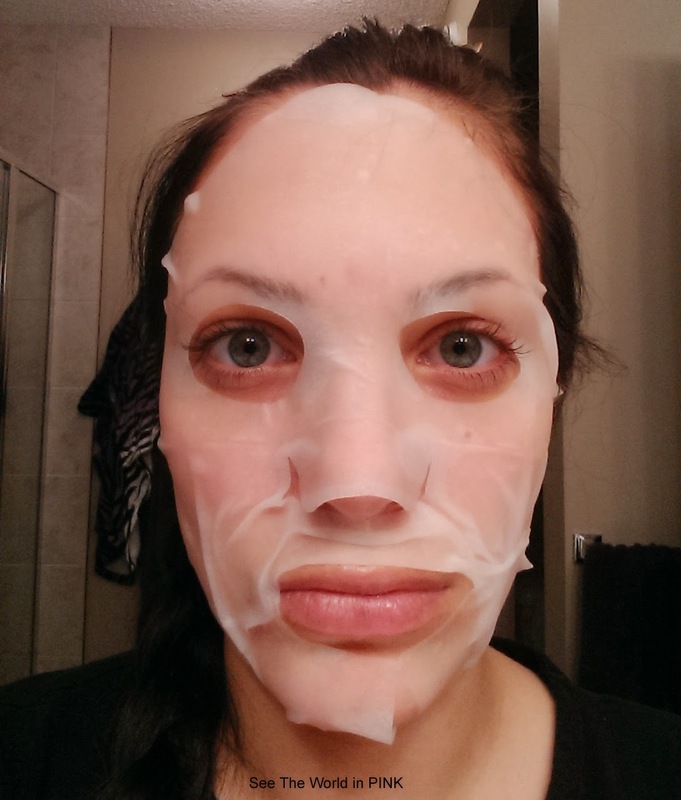 This mask smells like grapes and was actually quite essence-y! 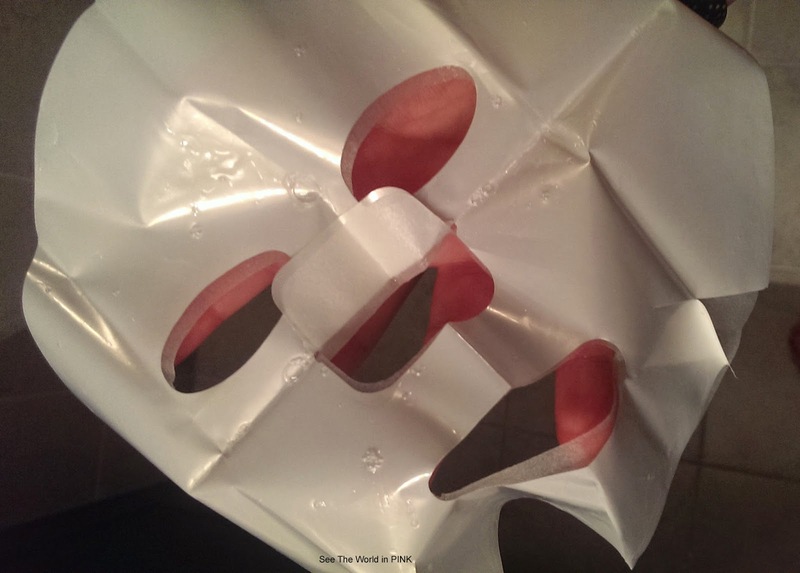 There was a lot initially dripping around my chin and mouth, but it did stop once the mask had been on for a few minuted. It stayed on nicely for 30 minutes and was happy with the results! How was your Wine and Mask Wednesday?